He’s been very busy with a new girl group. In a new interview with The Grio, Beyoncé's father Mathew Knowles discussed the criticism his daughter has faced for her "Formation" video and recent Super Bowl performance. "I have to be very honest with you," he tells his interviewer. "I haven't even seen it. I'm so focused in my world right now." Mr. Knowles did, however, catch Beyoncé's appearance at the Super Bowl. "It was an interesting performance. I look at it from the role of a parent... I'm proud of what she has accomplished." "The police boycotting Beyoncé is ridiculous," he added. "The venue buys the security. Every artist has their own personal security." A rep for Mathew Knowles did not immediately respond to a request for comment. 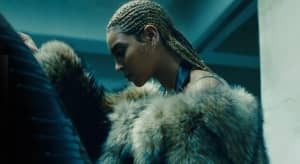 Revisit the "Formation" video below.